Come kick up your heels with us and dance away the winter chill! Cost is $10 or by donation and will begin with a special "family-hour" at 6:30 pm, geared towards kids of all ages and fun for everyone. As part of the Maritime Museum's ‘Spring Into the Arts Series’, the event features an experienced caller and a live band playing toe-tapping East Coast tunes! Dances are beginner-friendly and generally suitable for anyone age 8 and up (but younger kids are welcome to hang out in the Small Craft Gallery and enjoy the music!). At 7:30 pm the main event starts: the dance caller will walk you through the easy-to-learn figures that make up our dances, and then the dancing begins! Dances will get progressively more challenging as the night goes on, so be sure to come right at 7:30 pm if you've never done contra before. No experience is necessary and there is no need to bring a partner. Never heard of it? 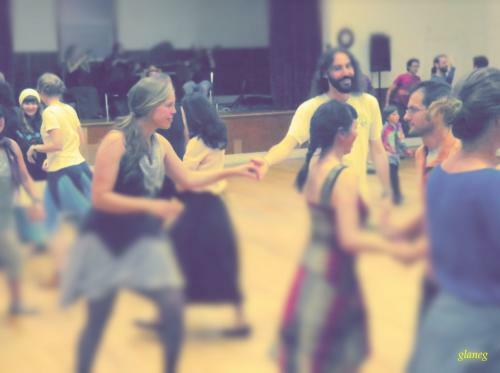 Contra dancing is related to Square Dancing but uses different patterns that appeal to all skill levels and energize the room. There are no fancy steps - if you can walk forwards and backwards and know your left hand from your right, you can do contra!